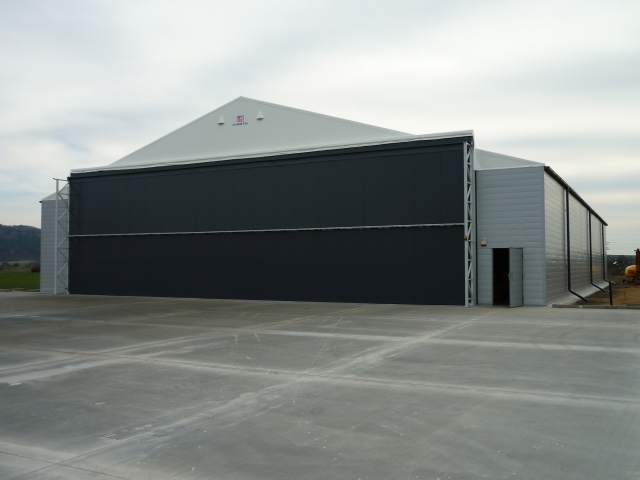 Hangars which we build meet all the demands for safe, effective and economic parking of your aircraft. 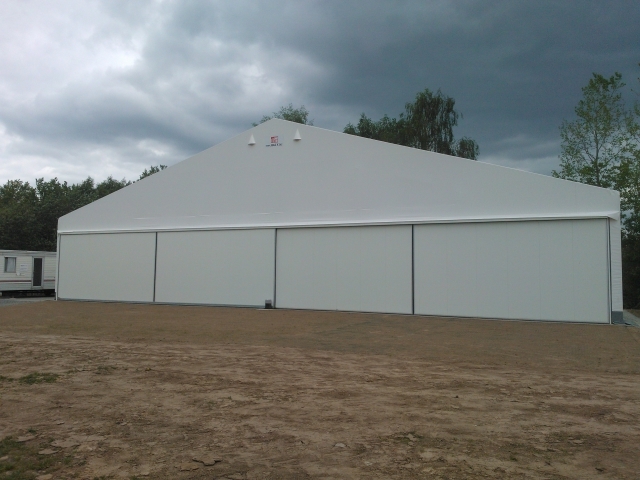 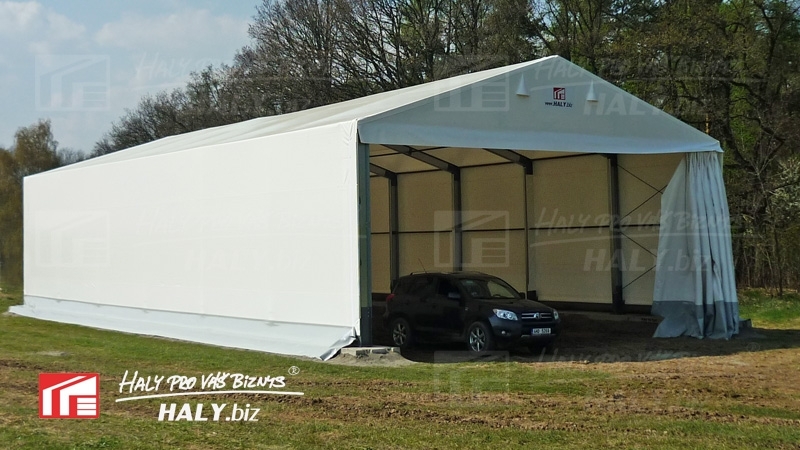 The ideal solution for this purpose is self-supporting steel halls which proved to be ideal for our customers or mobile membrane halls which excel in perfect flexibility and mobility and do not need to have special foundations built. 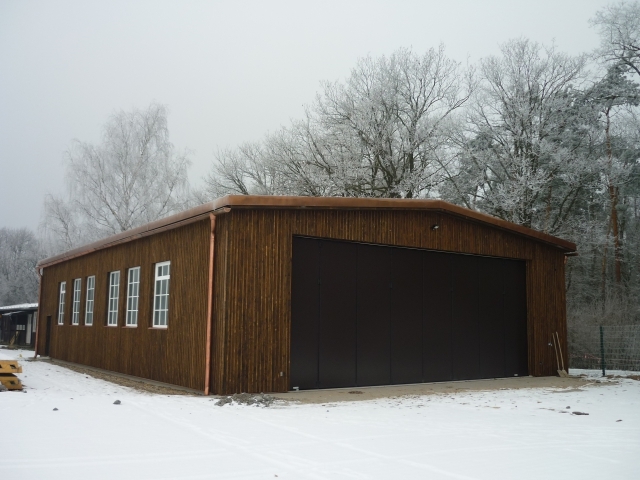 It is possible to have combinations of different types of coating. 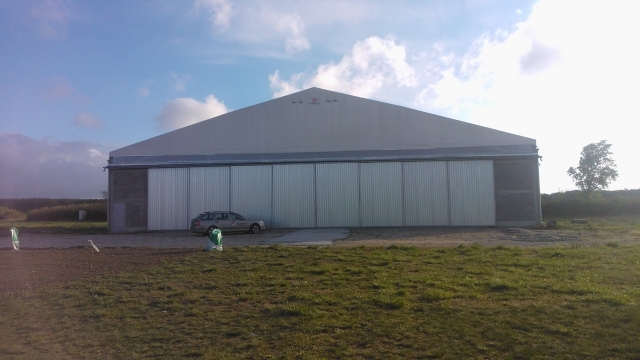 These hangars could be equipped with insulation and inner installations according to your wish. 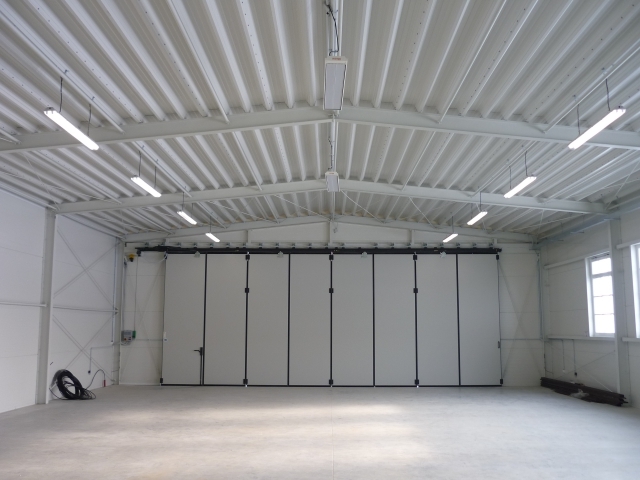 Regarding the size of aircraft and other machines, we supply special hangar gates tailor made to meet your demands. 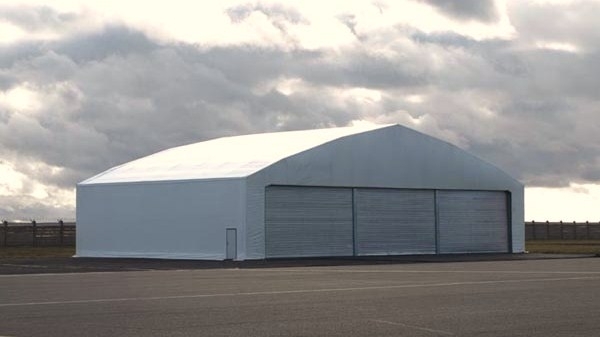 Do you need a hangar only temporarily? 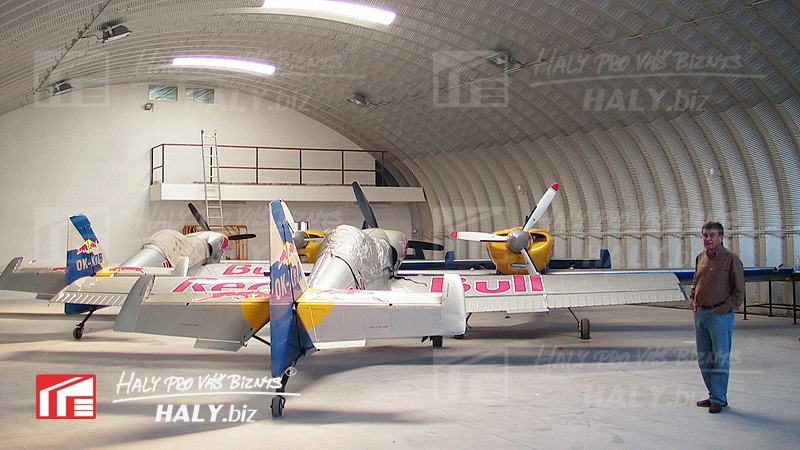 See our section hall rentals. 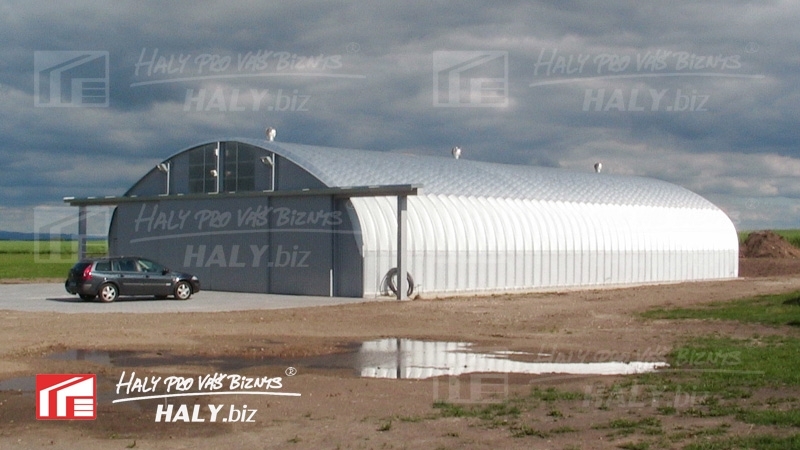 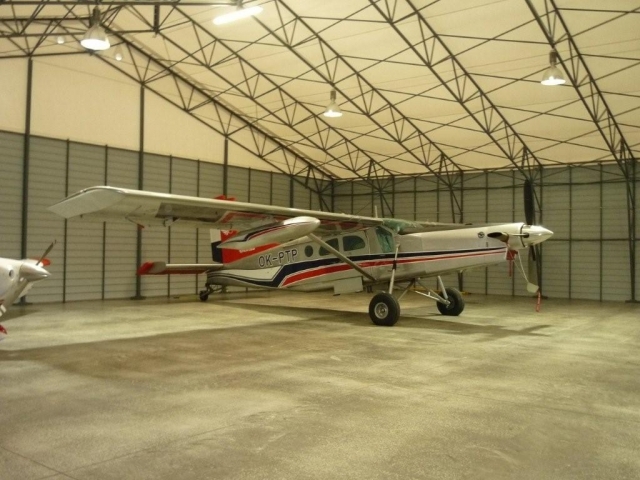 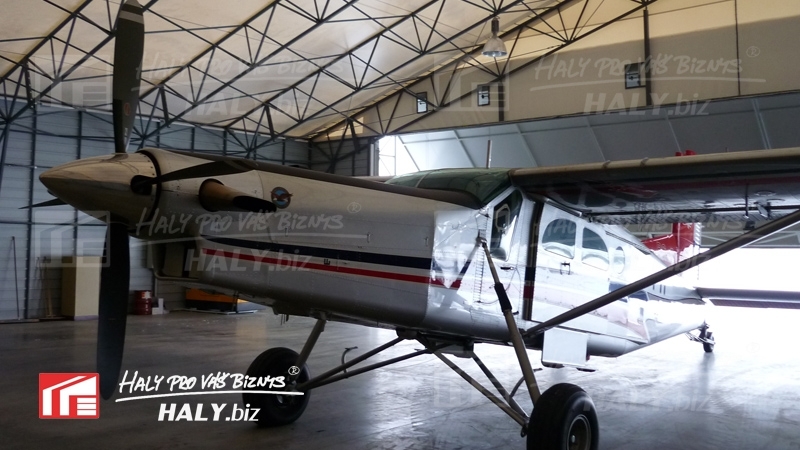 If you are interested in hangars, do not hesitate and contact us!